Our bridge system is working exceptionally quick, just in a few miliseconds, but in some cases while the market moves extremely fast (several new price quotes in subsecond), the price that you see on your PC/mobile MT4 may already be different to the price we get from our liquidity providers. 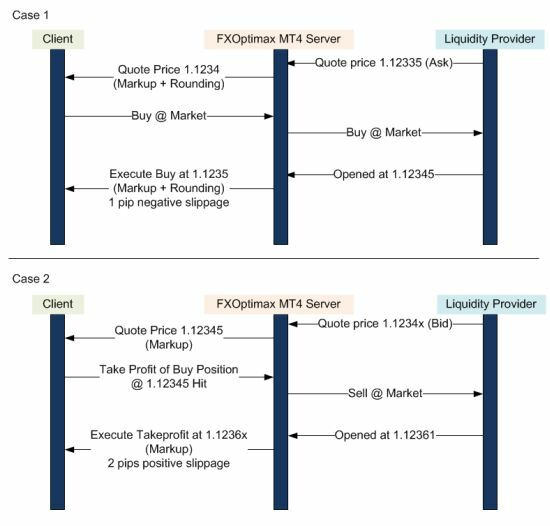 FXOptimax offers 3 account types to let clients choose the most suitable account to use, based on clients’ trading strategies and styles. These accounts are divided into 2 major group, FXOptimax 5 Digits pricing and 4 Digits pricing. All groups have the same main advantages, very fast execution, no requote and high leverage level. FXOptimax provides a wide range of deposit & withdrawal options. Ultra-tight spreads, starting from 0 pips! 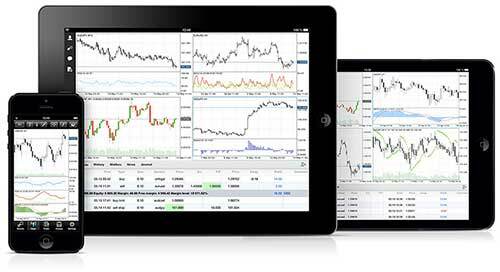 The world’s most popular Forex trading platform MetaTrader 4 is now available for iPhone, iPad and iPod Touch (Retina display devices are also supported), free of charge. FXOptimax is a NDD-STP broker and does not run any dealing desk. All trades by our clients are sent to liquidity providers, which consists of prime brokers and banks. Our bridge system is working exceptionally quick, just in a few miliseconds, but in some cases while the market moves extremely fast (several new price quotes in subsecond), slippage may be occured. Slippage can be both positive or negative, it solely depends to the market movement. Please see the illustration below, the first case shows how you will get negative slippage, while the second case illustrates how you will get positive slippage on your order. Our trading environment is absolutely benefiting your client’s trading business, making it easier for every partner to introduce FXOptimax to any potential client. For more information, please click here. Please click here to see the spreads comparison between accounts. Broker is the bridge which will help a trader to get connected with the parties associated with currency exchanges. A trader thereby needs to be watchful in choosing broker and thereby I have conducted due diligence before I can take the ultimate decisions of working with a broker. I have been working with a regulated broker ForexChief that is providing me lowest zero spread, moderate leverage of 1:400, contemporary trading tools and techniques, re-quote and slippage free well-timed, fastest and orderly trade executions and complete security of funds. As a trader, I am enjoying full time customer care support via a team of experts who are always there for me in choosing strategy and methods as well as technically updated MT4 platform.